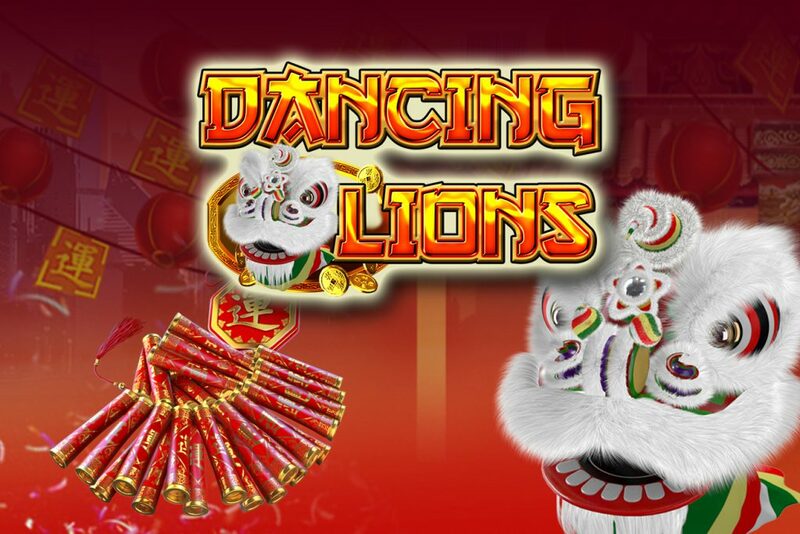 It’s lion festival time with the DANCING LIONS slot game. 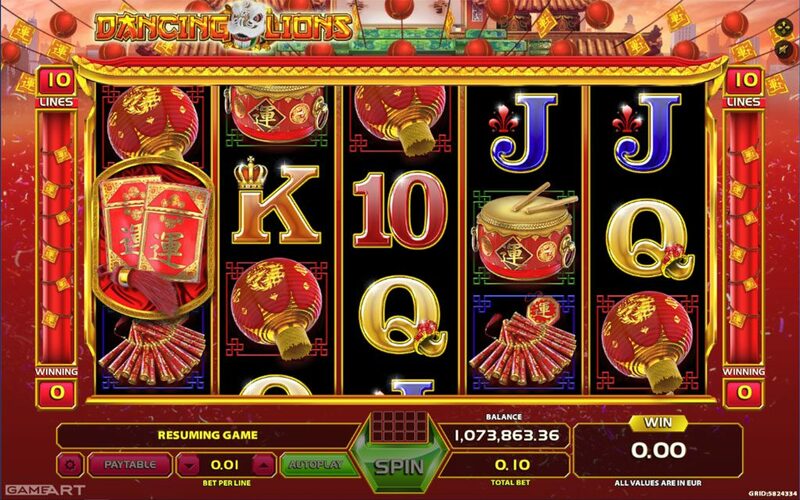 This 5 reel – 10 pay line slot game offers some excitement and unique features in the bonus feature game. 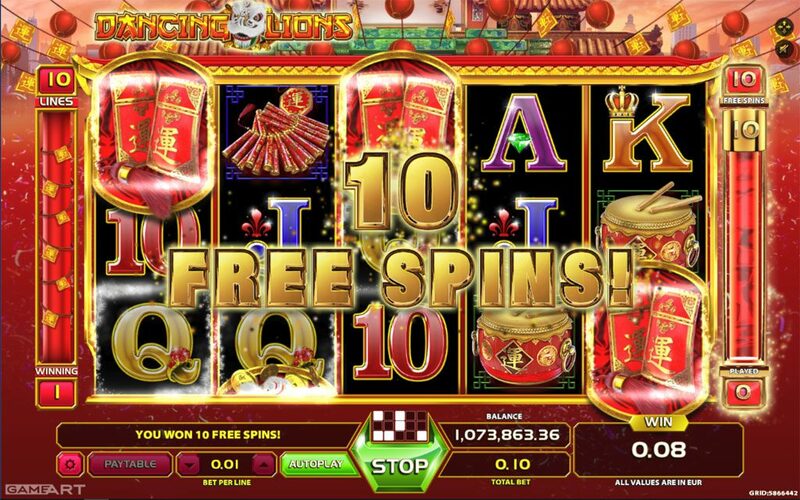 Win 10 free spins with Red Pocket symbols landing on reels 1, 3 and 5 simultaneously. 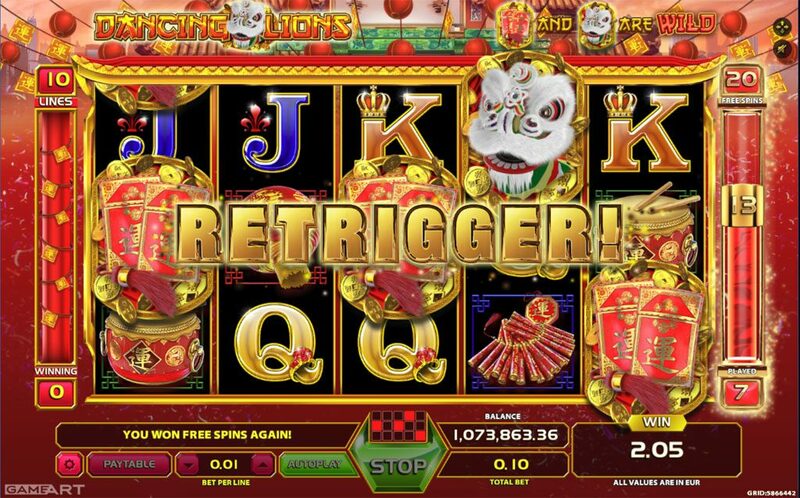 During free spins the Red Pocket symbol acts like wild and substitutes for all symbols except Lion. Bonus feature can be retriggered during the free spins.